The Cross Stitch Podcast is a podcast all about (you guessed it) cross stitch! 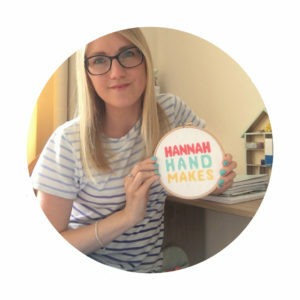 In the podcast I share all my knowledge I have learnt about cross stitch over the years including some tutorials, material talk and discussing the benefits off cross stitch. It is split into series of around 8-12 episodes per series. In each episode I share a cross stitch pattern/kit/book or the week. You can subscribe to the podcast and leave a review on iTunes here. This series is all about the Christmas stitch along! I am talking about the pattern we are stitching and all about our progress. I then also share some other things about cross stitch such as some hints and tips and a glossary of cross stitch terms. Episode 1 – Introduction. In this episode I will be telling you all about what you will find in The Cross Stitch Podcast and sharing the reasons why I started a podcast about cross stitch. 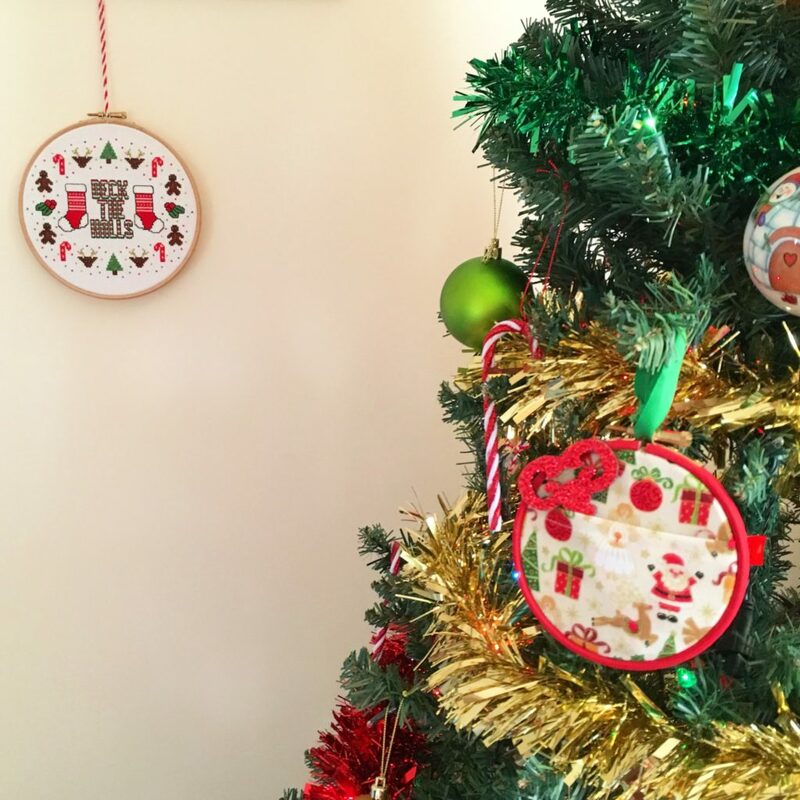 Episode 2 – The Christmas Stitch Along: Some FAQs. In this episode I will be telling you all about the Christmas Stitch Along I am running and some FAQs I have had about it. Episode 3 – How To Start Your Cross Stitch Podcast. In this episode I am talking all about what you will find in cross stitch kits, how to start your cross stitch project and I’ve shared my first pattern of the week! Episode 4 – A Cross Stitch Glossary Part One. In this episode I share part one of a little glossary of cross stitch terms and share my new pattern of the week. Episode 5 – A Cross Stitch Glossary Part Two. In this episode I finish off my little cross stitch glossary and share my new pattern of the week. Episode 6 – Making Mistakes And How To Fix Them. In this episode I share what we are stitching this week in the Christmas Stitch Along, I talk about making mistakes in your cross stitch and how to fix them and I share, not a pattern of the week but a book of the week! Episode 7 – Hints And Tips. In this episode I share some of my favourite hints and tips around cross stitching and share my new pattern of the week. Episode 8 – Stitching With Light Effects Thread. In this episode I talk about week 5 of the stitch along, I share some tips to help you stitch with light effects thread and this weeks pattern of the week is a Christmas one! Episode 9 – Organising Your Floss. In this episode I chat a little bit about week 6 of the stitch along, I share some popular ways to organise your embroidery floss and share a pattern of the week. Episode 11 – Finishing Touches. In this episode I talk about the last week of the stitch along, share some cool things you can do once you have finished your cross stitch project and share a funky Christmas kit. Episode 12 – A Goodbye For Now. In this episode I’m saying goodbye an having a chat about my plans and ideas for next series. Episode 1 – Introducing Series Two. In this episode I talk all about the things you can expect from series 2 and tell you a little bit of my story. Episode 2 – 5 Ways To Find More Time To Cross Stitch. In this episode I share some actionable tips to find more time to cross stitch and be more creative. Episode 3 – 5 Reasons Not To Cross Stitch, And What You Can Do About Them. In this episode I talk about the 5 most popular reasons for not wanting to cross stitch and solutions to help you overcome them. Episode 4 – 7 Things I Wish I Knew Before I Started Cross Stitching. In this episode I talk about the things I wish I had known about before I started cross stitching; some of them seem quite obvious now! Episode 5 – My Process Of Making A Cross Stitch Kit. In this episode I walk you through my process of how I made my Little Llama Cross Stitch Kit, from idea to finished product. Episode 6 – Cross Stitch And Photography. ﻿In this episode I share all of my tips around photographing your cross stitch and needle craft projects.